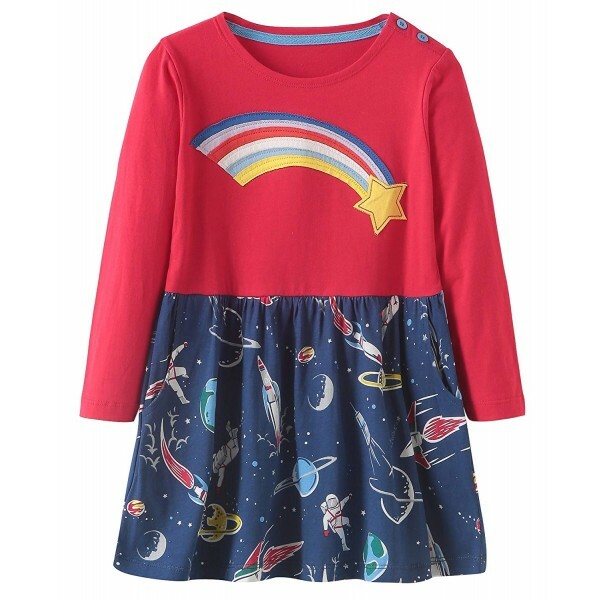 Blast off into outer space with this casual long-sleeved dress from Fiream! 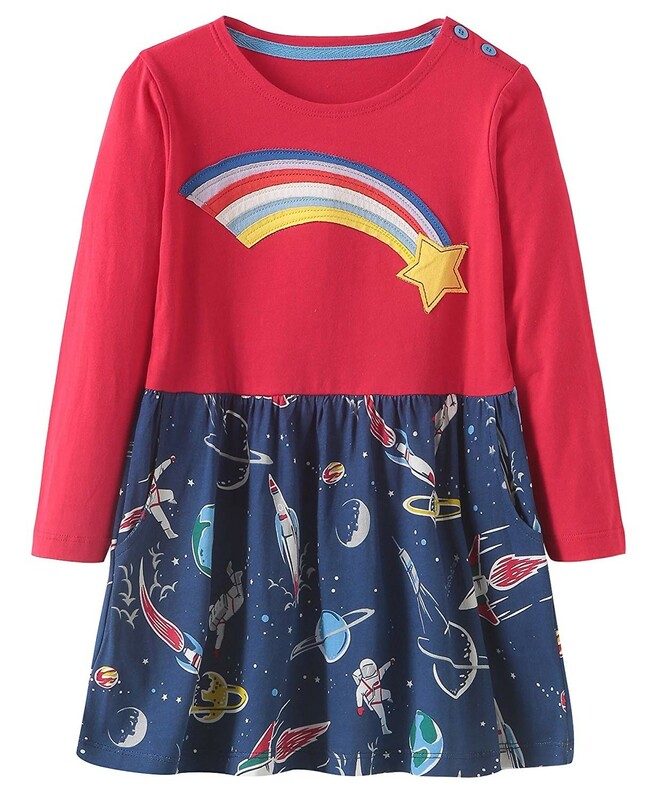 This soft cotton-blend dress is perfect for day-to-day play, with bold colors and an imagination-inspiring outer space print with astronauts, rockets, and planets. And since no astronaut wants to be without her supplies, it comes with two side pockets to stash her stuff. This dress is available in sizes 2T, 3T, and 4T, as well as girls' sizes 6-7 years, 7-8 years, 9-10 years, and 11-12 years. For more fun and empowering clothing for all ages, visit our Clothing Collection.